The Law Firm of Ayo and Iken serves Hillsborough, Pinellas, Hernando, Pasco, Polk, Osceola, Orange, and most Florida Counties. Florida Divorce attorneys Howard Iken, Alberto Ayo, Jeana Vogel, Jason Ponder, Bruce Przepis, Claudia Blackwell, Jennifer Schulte, Beth Clause, Howard Ellzey, Lee Feinberg, Jason Coupal, James Wimsatt, and Crystal Phillips are here to help you through this difficult time in your life. We put together this website to provide you with complete information on Florida family law and divorce. Please take the time needed to thoroughly read all about divorce-related issues. 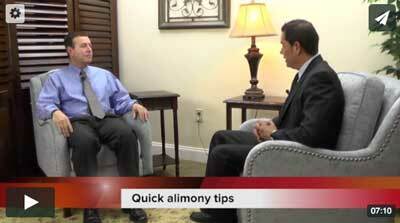 A good divorce lawyer should be willing to educate you on all the issues you will be facing. We believe knowledge is power. Knowledge and preparation take away the fear and allow you to face any challenge. We look forward to giving you that knowledge and helping you as your divorce attorney. Why you should hire us: The Law Firm of Ayo and Iken is one of the largest divorce law firms in the State of Florida. We give you the personal attention your case deserves but with the resources of a large law firm at your disposal. All of our attorneys have many years of experience in the courtroom. Clients do not hire us to come in second place. We take that responsibility seriously. Visit our Legal Information Studio to watch interviews of our experienced attorneys. The videos contain candid, hard-hitting info you can use in your case. You will also learn common ways that people hurt their chances of success. At Ayo and Iken PLC, we give you more information for free than most lawyers give you for compensation. The philosophy is simple: expertise should never be proven by hiding facts. Family law in Florida is complex, but the average person can understand the law. This is your case and you deserve to know all the steps to a successful divorce. We believe the best clients are knowledgeable clients. That’s why this website is packed with free online divorce information. There are approximately 225 pages of focused, informative, and current information about family law in Florida, divorce practice tips, and common sense advice – all written by a family law attorney. Our divorce attorneys want to earn your business by showing you what we know. We hold nothing back. I hope you enjoy reading and learning the twists and turns of family law. Knowledge is power. Good luck in your pursuit of knowledge. At Ayo and Iken we concentrate a large percentage of our practice in divorce, custody, paternity, support, and general marital law. Each and every one of our attorneys has many active family law cases at any given time. When you hire our firm, you have access to a large team of attorneys that can help you though the most trying time. We not only handle family law and custody cases – we thoroughly enjoy them. We fight for or defend alimony clients every day of the week. Nothing has more potential to impact your life. We have an attorney on staff with an MBA and extensive experience with money issues. Visit our frequently update analysis of pending alimony legislation to stay up to date on important issues. You should also be sure to visit our Legal Information Studios to see videos with experienced attorneys giving in-depth analysis of current trends and legal techniques. Any child support case has the potential of shifting hundreds of thousands of dollars between parents. Because child support is interlinked with parenting plans, we can sometimes achieve dramatic results by attacking the underlying parenting judgment. Child support is almost never cut and dried. There are many different factors that can skew a judgment in your favor. Our chapter 7 bankruptcy attorneys work directly with you from beginning to end. Nothing has more potential to help you start a new financial life. A chapter 7 bankruptcy case can erase most types of debt – including credit cards, prior court judgments, and debts from repossessed cars. We will work with you to plan a successful filing that will speed your way to a new financial life. Did you recently receive a judgement or order you are unhappy with, or one that you thought was unfair? Ayo and Iken can appeal your final judgment. Come in to discuss your divorce appeal or custody appeal today in our Tampa, Orlando, Miami, or New Port Richey office. We can analyze your case, discuss the strategies for changing the outcome, and make a plan of action for going forward. The Law Firm of Ayo and Iken has a dedicated team of attorneys ready to help you conquer whatever situation you are facing. We have offices in many locations throughout Tampa Bay, and Central Florida. Our initial consultations with an attorney are always free. Be sure to call us, or send us a message through our website. We are looking forward to seeing you in person and discussing your situation. Consultations are free. We look forward to helping you! *Not all locations are staffed and are only available by appointment. Ayo and Iken is a Florida law firm helping clients with family law, criminal defense, bankruptcy, employment & wage issues, immigration, and personal injury. Call us to schedule a free consultation at 800-469-3486. Florida Attorneys Howard Iken, Alberto Ayo, Jeana Vogel, Jason Ponder, Bruce Przepis, Claudia Blackwell, Jennifer Schulte, Howard Ellzey, Lee Feinberg, Jason Coupal, James Wimsatt, and Crystal Phillips are here to provide you with loyal, aggressive representation at this difficult time in your life.